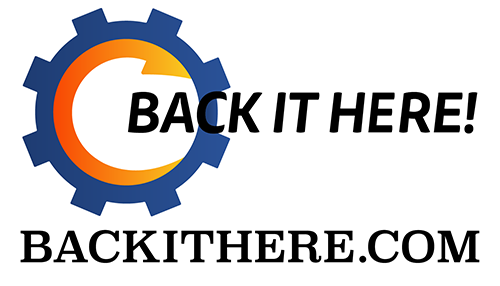 In Portal 2 the player returns as Chell, having been in stasis for several hundred years while GLaDOS and the rest of the Aperture Science facility has fallen into disrepair. Chell is awakened by one of GLaDOS's personality cores, and inadvertently wakes GLaDOS; GLaDOS is immediately displeased at Chell's return and begins testing her again through numerous chambers as she rebuilds the dilapidated facility. Portal 2 continues to challenge the player through numerous platforming and physics-based puzzles using the Aperture Science Handheld Portal Device (ASHPD, also dubbed the "portal gun"), a device that can create a temporary wormhole between any two flat surfaces. 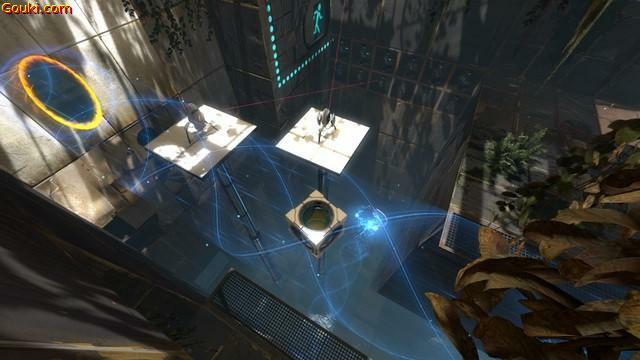 Other gameplay elements are added to Portal 2 including tractor beams, laser redirection, and special paint-like gels, taken from the Independent Games Festival-winning DigiPen student project Tag: The Power of Paint, that imparts special properties to objects it touches such as increased momentum. 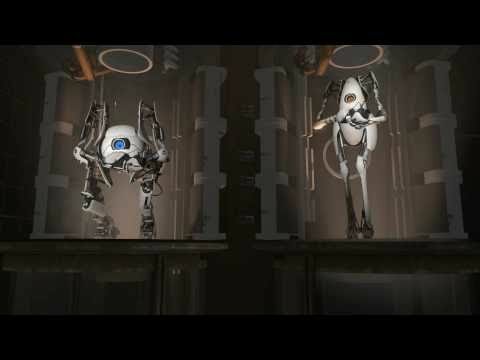 Portal 2 also includes a two-player co-operative mode, each player-character a robot that has become self-aware from GLaDOS' influence, and requires the players to work together with their own portal guns to complete each level. Custom Bots - Preorder Portal 2 and receive GameStop exclusive customized skins for the co-op bots Atlas and P-body. Custom skins for Atlus and P-body, exlcusive for co-op play. Online Customers: A code with instructions on how to redeem your custom bots will be emailed to you within 2 business days after your order ships. April 26, 2012 -- Valve, creators of best-selling game franchises (such as Half-Life and Counter-Strike) and leading technologies (such as Steam and Source), today announced the free Portal 2 DLC titled "Perpetual Testing Initiative" will be available for the PC and Mac on May 8th. Portal 2 DLC releases next Wednesday for free! In a blog post announcing the third Portal 2 soundtrack volume, Valve casually announces the release date for the highly anticipated Portal 2 DLC. So mark it, dude. 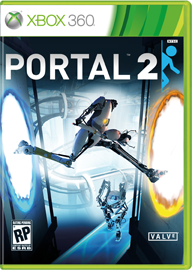 Wednesday, October 5th will see the release of free DLC for Portal 2. Can't wait! I saw this and thought of you Jimmy's. I watched it and it made me laugh so I had to share it. It jokes about a GLaDOS cd, but made me wonder how many of you would really pick it up. I have enjoyed the the videos and stuff more than the actual game, and that is pretty odd. Hope you guys enjoy this.